To all the fans of sweet and salty pairings; an intriguing combination. 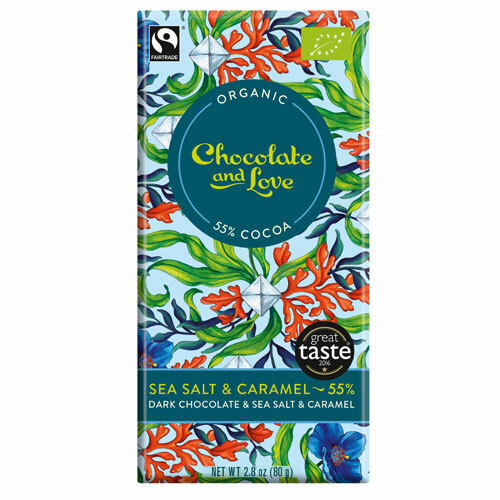 The fusion of the caramel crunch and the dash of sea salt create a deliciously naughty flavour experience. But be warned, it is addictive. Cocoa mass*, cane sugar*, cocoa butter*, caramel pieces* (10%) (cane sugar*, whole milk powder*, butter*, glucose syrup*), whole cane sugar*, sea salt (0.5%), vanilla pods*. *Certified organic. 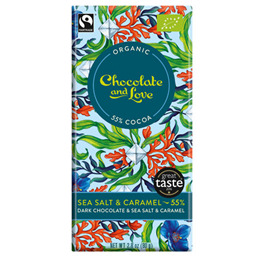 Below are reviews of Chocolate and Love Sea Salt & Caramel Dark Chocolate - 80g Bar by bodykind customers. If you have tried this product we'd love to hear what you think so please leave a review.